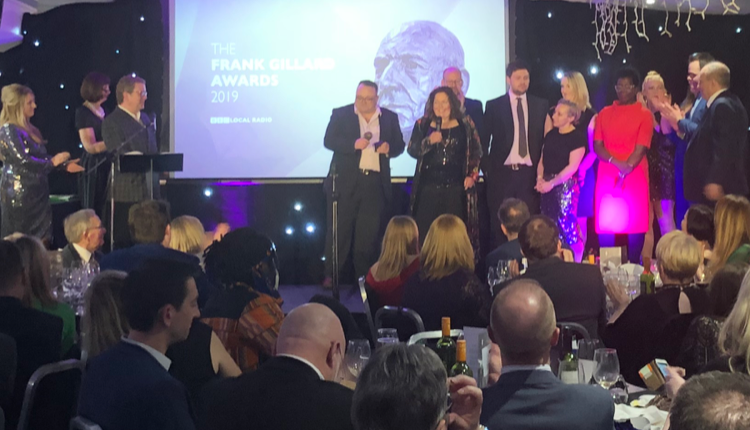 It was BBC Radio Sheffield’s night at this year’s Gillard Awards – the internal awards celebrating the best of BBC Local Radio. Radio Sheffield won the most Gold awards, taking home three in total. Kat Harbourne and Jenny Eells won Best Presenter for their Naked Podcast, Toby Foster won Best Breakfast, and the whole team won Station of the Year. New Head of Audio and Digital Chris Burns welcomed a room full of people at Pride Park in Derby from the local stations, and acknowledged the new recruits around the network brought in to host the new local evening shows with a specially recorded video. Presenter Jon Culshaw was the host for the night, along with Ken MacQuarrie, Director of BBC Nations and Regions. A new award, Pudsey’s Special, recognised the work done by one particular station for its Children in Need fundraising efforts, with BBC Radio Lancashire winning the first one. Listen to some of the winners on the next RadioToday Programme Podcast, out Wednesday. Bronze	BBC Radio Lancashire	Accrington Stanley? Who Are They? It used to be towards the back end of the year. Why did they move the ceremony? So that the stations and presenters who aren’t flavour of the month have got less time to be disappointed.